The final deadline for McKnight’s Women of Distinction awards nominations is next Thursday, Jan. 31. Nominations were accepted until Jan. 18 at no charge. Now, a $25 charge applies for all submissions. 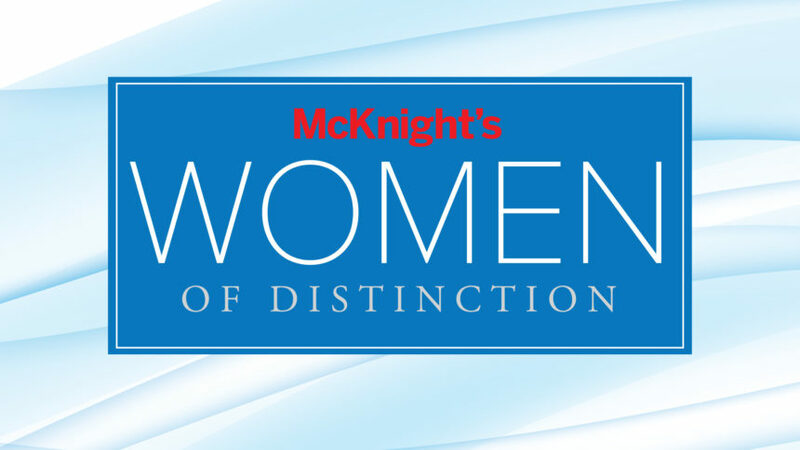 McKnight’s Senior Living and sister media brand McKnight’s Long-Term Care News announced the launching of the Women of Distinction awards in December. The awards will recognize women who have made significant contributions to the senior housing and care field, as well as those who are rising stars. Eligible for recognition are women working as direct care providers, managers, executives, corporate executives and owners in independent living, assisted living, memory care and life plan communities, as well as those working in these capacities in skilled nursing facilities. The Hall of Honor will recognize candidates who are at a level equivalent to vice president or higher who have made a significant impact on their organization or the industry. Rising Stars must be less than 40 years old or have fewer than 15 years of experience in the industry, and they must have demonstrated an exceptional commitment to the senior housing and care field. Nominators should be prepared to share each nominee’s work history, exceptional achievements and contributions or service, and anything else that the judging panel should consider. For additional information and to nominate someone, visit www.mcknights.com/womenofdistinction. Nominators will need to create an account and will receive an email confirmation when the entry is submitted.